Shannon Tanghe, an assistant professor and department head at Dankook University’s Graduate School of TESOL in Seoul, South Korea is the 2016 TESOL Teacher of the Year! 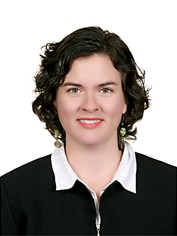 TESOL International Association and National Geographic Learning are pleased to announce that Shannon Tanghe, an assistant professor and department head at Dankook University’s Graduate School of TESOL in Seoul, South Korea, will receive the 2016 TESOL Teacher of the Year Award. The award honors exceptional English language teaching and is open to teachers at all levels of education. Tanghe will be recognized at the opening keynote session of the 2016 TESOL International Convention & English Language Expo 5–8 April in Baltimore, Maryland, USA. The recipient of the TESOL Teacher of the Year Award receives a one-year membership in TESOL International Association; a selection of TESOL publications valued at US$250; complimentary registration, travel, and accommodations for the 2016 TESOL International Convention & English Language Expo; and a cash award of US$1000. The award recipient will also deliver a presentation at the TESOL International Convention. National Geographic Learning will present the award to Tanghe at the TESOL international convention, where she will deliver a presentation titled “Teaching to Learn: Focus on Teacher Inquiry Stance.” The presentation will show that, based on faculty and students’ experiences, cultivating teacher inquiry stances improves both professional growth and classroom practices. For more on Shannon Tanghe, check out the Teacher of Year feature in the March issue of TESOL Connections. Cengage Learning is a leading educational content, technology, and services company for the higher education and K-12, professional and library markets worldwide. National Geographic Learning, part of Cengage Learning, is a provider of quality core and supplemental educational materials for ELT, adult education and PreK-12. Cengage Learning and National Geographic Learning distribute a variety of content from the National Geographic Society to the academic and library markets worldwide. Full Press Release - Teacher of the Year!